It’s the easiest thing in the world to justify taking care of others. But when it comes to taking care of yourself, it’s a different matter entirely. 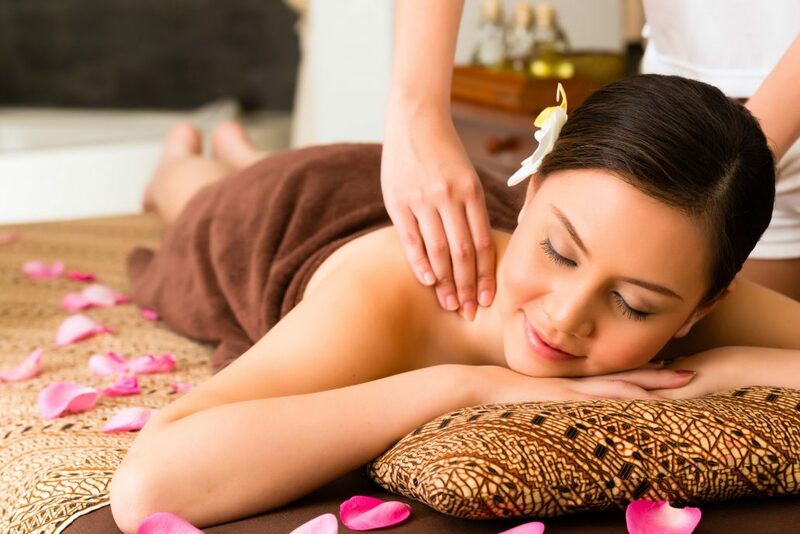 Typically, massage has been regarded as a pampering luxury reserved for the most prosperous. However, like personal training, it is now enjoyed by people of all income brackets. At Lime Green Lotus I aim to make massage accessible to all. Furthermore, massage is increasingly gaining validity as a key component of a successful medical treatment. Every day, medical professionals, such as physical therapists, chiropractors and GPs, refer their patients to Licensed Massage Therapists. And every day, these patients are amazed and surprised at how effective massage is at helping them maintain a pain-free, healthy lifestyle. For many of these patients, it took an injury to discover the true benefits of regular massage. They used to treat themselves to the occasional massage, but when they were injured and massage helped them heal, that is when they became true massage converts. Throughout my career, the results achieved by massage never cease to amaze me. And yet I still hear a number of excuses to not get a massage. Here is a selection of them followed by my responses. Client excuse no. 1: I feel guilty taking time away from my family. LMT response: If you don’t take time to replenish yourself, you won’t have the physical and mental capacity to take care of others. Client excuse no. 2: I feel uncomfortable showing a stranger my naked body (sadly, I’ve heard this multiple times. Having struggled with body confidence issues in the past, I can also relate). LMT response: This massage room is a judgement-free zone. Bodies come in all shapes and sizes, and it is an honor and privilege to help whoever is on our table (as it happens, your LMT is usually too busy medically assessing your body for tightness or problem areas to even consider your shape or size in that way). Client excuse no 3: Massage is too expensive. I can’t afford regular massage. LMT response: Because of the physical nature of our work, we are limited to the number of massages we can do in a day or week. It is a professional skill and thus charged accordingly. That said, our packages make it much more affordable. And each client has the choice what they would like to prioritize and spend money on. Cutting back on a few meals out or your morning cup of Starbucks can actually pay for one or more massages. Client excuse no 4: I don’t have the time for regular massage, and I find it hard to stay on track. LMT response: Regular massage helps maintain your flexibility and looser muscles. Clients report improved posture, more energy and less pain. With such impressive benefits, you may find you want to make massage a priority after all. We recommend at least one massage a month. Some clients get weekly or biweekly massages. Getting one massage a year may be cheaper and less time-consuming, but when you return we will have to start from square 1. Regular massage often means we can work deeper if you desire, and also results in less soreness post-massage as your body becomes accustomed to regular work. Many clients like to book their next session when they come out of their last one, or even book several sessions at once to ensure they get their desired time and LMT. This helps them make it a part of their regular routine. Client excuse no 5: My massage therapist hurt me. I asked them to go lighter and they didn’t listen. Now I’m afraid to get another massage. LMT response: Please know that this is never acceptable and a complete boundary violation. A good LMT checks in with their client about the pressure, and asks their client to let them know if they need to adjust it. I tell clients my feelings won’t be hurt, but I would hate for them to be hurt because they were afraid to communicate. A good LMT can also read your body language, and notice if you are tensing up (key signs include wriggling feet or grimacing). On the flip side, there are times when clients feel the pressure is okay, but are sorer than expected afterwards. On your follow-up appointment, tell your LMT, so they can go lighter. We don’t always know how our body will react, especially if it’s our first massage or we haven’t had one in a while. Last but not least, there is no one size fits all. Be willing to try different massage therapists to find one that fits your needs. Valentine’s Day inspired me to write this column. It’s a day that traditionally is all about showing love to others. But please remember that it’s impossible to do this if you don’t first show love to yourself. Self-care is important all year round so you can live a happy, healthy and fulfilled life. Massage is not a luxury, as the above examples show. Take time out of your day to get a massage. You won’t regret it. Love yourself so you can continue to love those around you. https://limegreenlotus.com/wp-content/uploads/2015/02/Lime-green-lotus-massage-reiki-bucks-county-sarah-downing-massaging-relaxed-flower-petals-2000.jpg 1334 2000 johannes https://limegreenlotus.com/wp-content/uploads/2018/11/Lime-Green-Lotus-Horizontal-Logowithwater_Web-300x77.jpg johannes2018-09-16 20:09:452018-11-09 20:31:10Massage and Self-Care: Don't Delay; Do It Today!